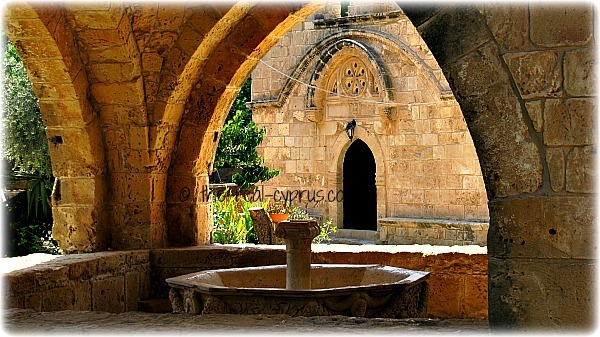 Ayia Napa Monastery is a centre of calm in the middle of chaos that is the Ayia Napa nightlife. 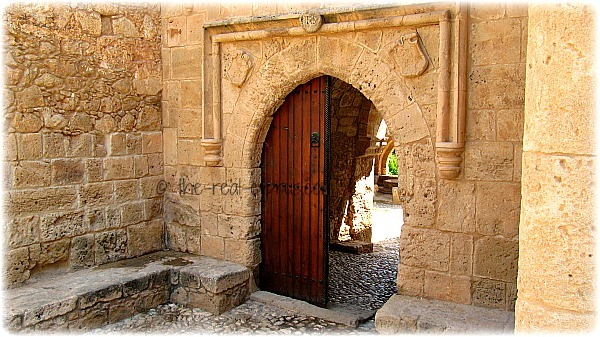 A 16th century building, that, once you find yourself inside, is the antithesis of all that is offered by the resort. History in spades, cobbles that tell a story of a 500 years, walls made of warm sandstone amid palm trees and a cool cloister. 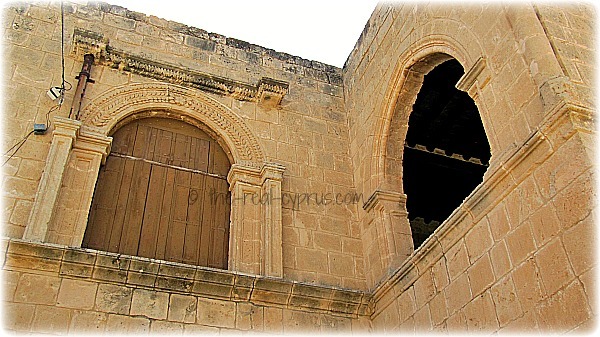 Set behind heavy wooden doors, you can enter the monastery from early in the morning until late into the evening because it is always open. The church, to the right of this font goes below the ground level outside and has a wonderful stone window over the door. to let in light to the less than well lit building where there is an extra chapel for worship. Renovated in the 1970's, the church is used by the World Council of Churches for conferences, and in the summer, an Anglican service is held at 11 am and a Catholic one at 5 pm if memory serves me correctly. Further down and out through the archways are 2 enormous sycamore trees, so large they need assistance by way of metal poles, designed to hold the weight of the branches because they are so old and so heavy. 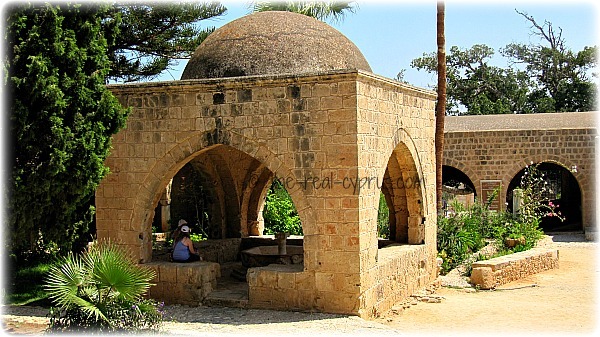 They are a landmark outside the monastery as they are over 600 years old. The corridor has many wooden doors, where monks and visitors used to live, nowadays, they are used by visiting clerics for special events. No one really lives permanently there now, just volunteers when events are taking place throughout the year. 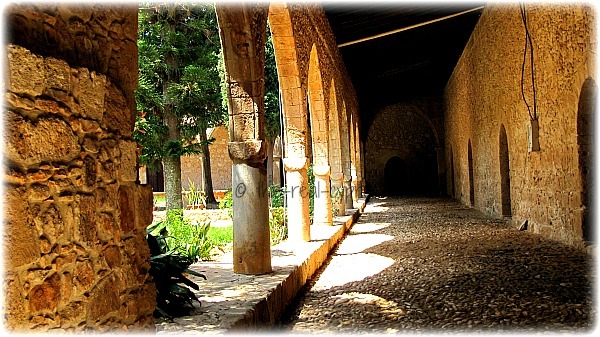 Beautiful Venetian stonework and carving is found all over this monastery and courtyard. It is no wonder, with such picturesque surroundings it is the photo location of choice of the many couples who come to be married here each year. Soft coloured stone bathed in sunlight, the gentle sound of water, and the oodles of history make it the perfect backdrop in the album next to the beach photographs. Why wouldn't you want to come here.